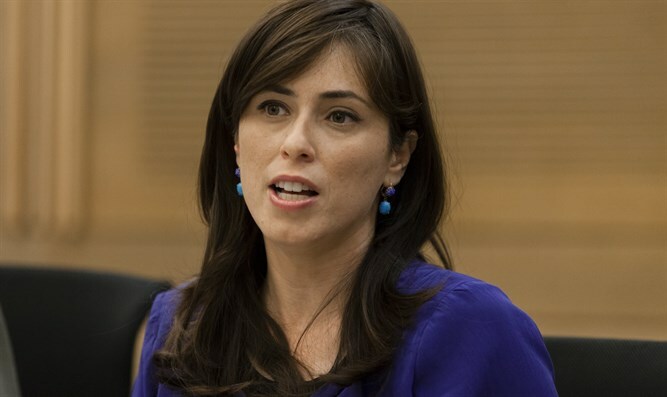 Deputy Foreign Minister Tzipi Hotovely (Likud) issued an apology Thursday evening, hours after her office released a statement ‘clarifying’ comments she made Wednesday regarding American Jews and their relationship with the State of Israel. Hotovely’s comments sparked an uproar, and drew condemnation from Prime Minister Binyamin Netanyahu. According to a report by Channel 2, the Prime Minister is weighing terminating Hotovely from her position in the government. On Thursday morning, Hotovely’s office released a statement clarifying her comments on Wednesday. That did little to assuage the anger of fellow MKs both in the government and the opposition, some of who demanded her suspension as Deputy Foreign Minister. Speaking to Channel 2 Thursday night, Hotovely expressed her regret over her original comments, saying she had not meant to offend American Jews, and that she was cognizant of the great contributions American Jews have made to the State of Israel. “To all American lone soldiers who had grandparents who fought in the Second World War, I salute you all,” said Hotovely. “That wasn’t what I meant to say,” she added, saying that she never intended to diminish American-Jewish support for Israel.